Human Rights campaigners and NGOs in Poland have been dealt a potentially damaging blow by the country’s conservative government. Last week, Prime Minister Beata Szydlo announced plans to create a new department, which will centralise state funding and therefore “bring order to the whole sphere of NGOs”. Highly criticised by human rights activists since arriving to power in October 2015, the right-wing Law and Justice government has now started to apply pressure on NGOs that have recently achieved important victories. In October, several Polish streets were packed with demonstrators protesting against a controversial proposal of an outright ban of abortion in Poland (a country that already has one of the most restrictive laws in Europe). Dressed in black, thousands of women participated in mass protests demanding more freedom and the right to decide about their own body. After the vast demonstrations, the Law and Justice party —that is closely aligned to the Catholic Church— initially backed the proposal but ended up withdrawing its support for the law, which was later rejected by the Polish parliament. 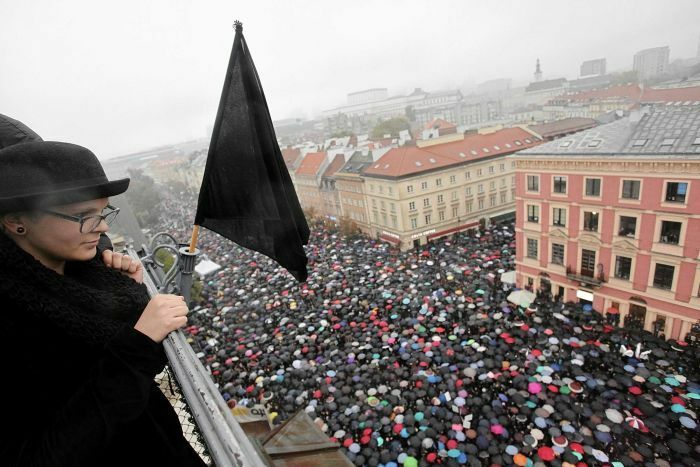 This historic victory of Polish activism and social movements has revitalised feminism in Poland but, at the same time, has fuelled anger towards the ruling party which has responded with the new measures against NGOs. However, this may ultimately trigger a sharp rise in activism from an empowered Polish civil society. What do we need to do to make 2017 a good year? Saudi prince says ban on women driving is '"unjust"
Aleppo's hospitals ravaged by Russian bombs: what can you do?